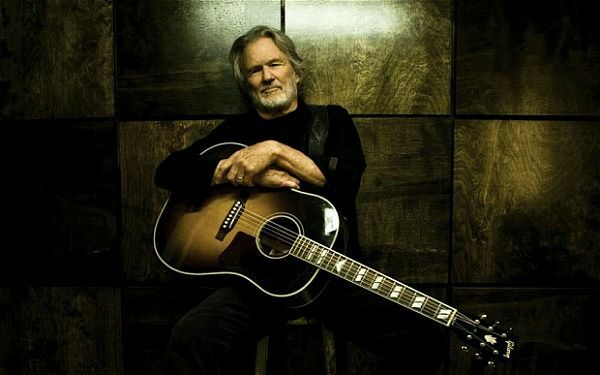 Back when Kris Kristofferson used to take the stage alongside his comrades in the Highwaymen, he was the relative young gun of the group, his stature overshadowed by the outlaw legends of Waylon and the Red Headed Stranger and the Man in Black. Sure, he’d written songs that each of them had recorded and performed, but he hadn’t yet put in the years, the hard time and bitter tears it took to become such a larger-than-life figure. Well, now he’s 80. And in listening to him sing a batch of his own classics on the newly released double-disc set, The Cedar Creek Sessions, it’s clear he belongs in their rarified company. 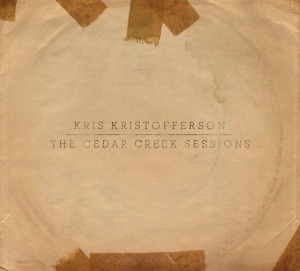 Recorded over three days in June 2014 at the album’s namesake studio in Austin, Texas, these performances reflect Kristofferson’s craft and bone-dry conviction with the sort of integrity that can only be achieved when such a seasoned songwriter revisits his own history. His voice, grizzled with age and hard-won experience, imbues these songs new character and insight, his gruff inflections now revealing flashes of stoic resignation. He wrings more pathos from “For the Good Times” than have seemed possible in the classic’s countless other incarnations. He delivers “Sunday Morning Coming Down” like a dirge. And when he aches out the opening lines, “Busted flat in Baton Rouge…” in “Me and Bobby McGee,” the enduring image is of man down to his soul’s last ounce of will and resilience. Thankfully, Kristofferson’s maverick spirit still thrives.